Dr. Nicole Cooper is a licensed clinical psychologist. Therapy with Dr. Cooper is a collaborative process, which begins in a safe and comfortable environment where frankness is encouraged, candid feedback is provided, and humor is welcomed. Dr. Cooper’s primary orientation is Cognitive Behavioral, but she is a pragmatist who knows that different people have different needs. Dr. Cooper thus incorporates research-backed and time-tested strategies from many psychological modalities including mindfulness, dialectical behavior therapy and psychodynamic therapy to help client’s tackle bad habits and problematic relationships and build stronger self-esteem. With a focus on helping the client define and achieve his or her own personal goals, Dr. Cooper helps her clients integrate effective new ways of thinking and behaving into their daily lives. Ultimately, Dr. Cooper’s clients take their new “tools” out of the office and into their lives to create and maintain healthier lifestyles, happier relationships, and improved performance in target areas. Dr. Cooper is a NIMH (National Institute of Mental Health) trained and certified diagnostician and has been trained and certified in Prolonged Exposure Therapy for PTSD (PE) by Edna Foa, PhD at the University of Pennsylvania’s Center for the Treatment and Study of Anxiety. She is currently in training to become a certified Dialectical Behavior Therapist. 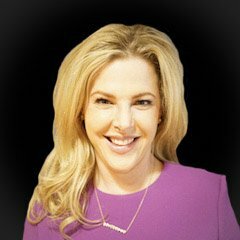 Dr. Cooper’s strong roots in both academic and clinical psychology allow her to provide clients with the most up-to-date, evidence-based treatments combined with the warmth, calm energy and practical approach of an experienced clinician. Also, her experience working with people on both coasts (New York & California) and overseas (London) offers her clients a unique perspective. In addition to her work at Union Square Practice, Dr. Cooper is on the faculty of New York University Medical School, where she teaches medical students and early career psychiatrists how to do psychological assessment and psychotherapy.